Actors Circle, based at the Providence Playhouse (1256 Providence Rd., Scranton), opened their 33rd season with A.R Gurney’s 1988 comedy “The Cocktail Hour,” running Sept. 11-21. 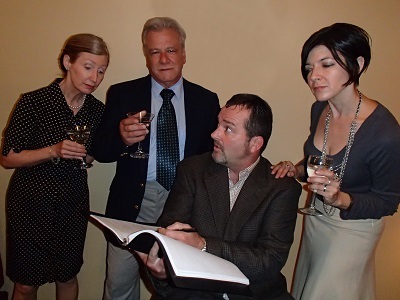 The play features four characters; Bradley and Ann (portrayed by John Arena and Patricia McAvoy) are an aging upper-class couple who are attempting to enjoy an evening of drinks and dinner with their son John (Tom Malone) and daughter Nina (Carla Reck). As the cocktail hour progresses (specifically differentiated from a cocktail party as a private and personal affair), the family argues and debates their past and shortcomings – all fueled by John’s announcement of a new play directly inspired by his family and past home life. 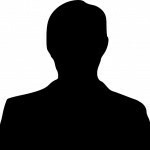 It seems to be highly successful, the actors must deliver the material as dryly as their characters martinis appear – however, this was not always accomplished. While comfortable upon the stage, the ensemble did not seem to find the chemistry that should exist within this fractious family. Adequate performances could be found by all, but a notable tenderness was highly visible within McAvoy’s portrayal of this play’s matriarch. A pleasant set and costume design, while appealing, did not hide how often the overall staging and movement of the actors came across. This play was a charming comedy of manners and a fun night at the theatre, even if its many ingredients did not make the best cocktail one may have! Agree? Disagree? If you saw the show, share your views – art can only grow with open dialog! Stage Walker is an anonymous theatre critic living in NEPA. Opinions are his or her own.